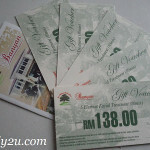 Here’s good news for you if you are heading to ipoh before 15th August. 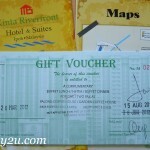 Emily2U.com is giving away free voucher to stay at a 2-room suite at Kinta Riverfront Hotel & Suites in Ipoh, Perak, Malaysia. 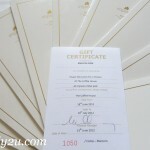 It is open to everyone as long as you are able to make use of the voucher. How to win? This is a lucky draw. You just need to follow the instructions and make sure that your name is in the lucky draw by commenting on the giveaway post. 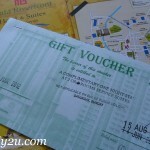 This entry was posted in Drawings and tagged Emily2U, Emily2U freebie giveaway on June 27, 2012 by Cyberpartygal.